Junior Achievement's Leading Ladies program selects girls to attend a special morning of mentoring with hundreds of successful women. 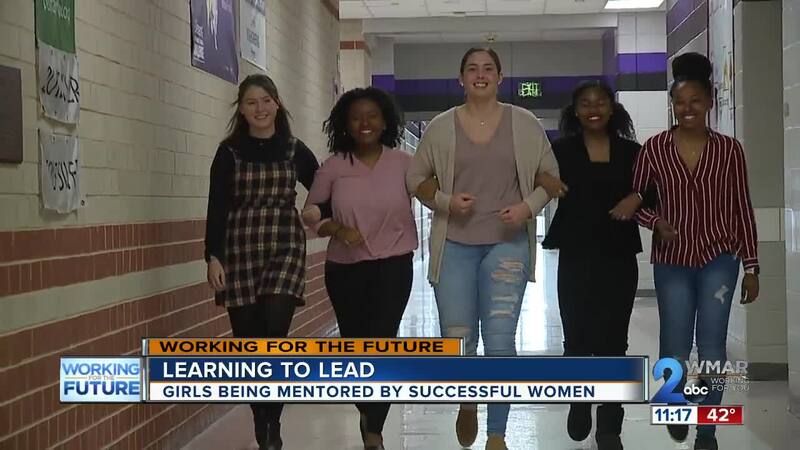 Ayana Monroe and her peers from Long Reach High School hope to one day be those powerful women. “I'm going to be majoring in business, so networking is going to be a very big part of that, and I think this helped me open up my eyes to the networking world,” said Hailey Ramburg. In the meantime, these young ladies will settle to be in their company. They're part of Junior Achievement's Leading Ladies program, selected to attend a special morning of mentoring with hundreds of successful women. “One of my mentors was a lady from Radio One and she really helped me understand as a woman what it's like to speak your opinion and not back down on a day to day basis, and for that it really helps me be more confident,” said Kamryn Walker. “It's really important that young girls have access to mentors and get to see really envision what they can be in the future,” said Kaitlin Bowman. “I met a lady who works with Pandora and she's in Supply Chain Management. She plans all of the events for them. And I kind of realized I do enjoy planning a lot of things and getting involved in that and I believe I'm going to minor in Supply Chain Management,” said Bailey Slepko. All of these girls are returning for either a second or third year. They have motivational speakers, inspiring conversations, and interactive activities. Hailey still has her mirror from last year. “She was telling everybody that they are beautiful, to keep looking into the mirror even though that we felt as if something didn't look right on ourselves, there was always somebody to tell us you look fine, you look beautiful,” said Hailey. “Last year I wasn't with ladies that were in computer science specifically. I was with a lady in healthcare, another field, but the professional experiences the things that they've gone through and gave advice about has really helped me,” said Ayana Moore.